See bottom of page for even more resources too! Evernote is a way to get organized. It is a great resource that allows you to easily capture information using whatever device or operating system you use. It then makes this information accessible and searchable from anywhere. Their tagline: “Remember Everything.” It is a digital notebook that allows you to take text notes, clip web pages, upload images and files, and much more. Accessible on all platforms and devices. 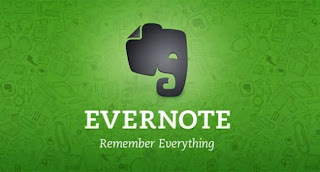 How Can I use Evernote as a Teacher, Student, Administrator? Evernote is an excellent resource for education. Teachers can use it for meeting notes, research, lesson plans, task lists, lesson resources, references, and much more. Students can use it to take notes in class, organize their homework, research and projects, and make a list of things to do. Administrators can make notes, task lists, organize resources, create agendas and procedures and share them with their staff, and so much more. Evernote is also great as a lesson and resource organizational tool. Create notebooks setup for lesson plans and lesson resources, along with notebooks for things to do, things to research, and things to share. Easily share resources and information with students or colleagues. Education page has tips, how-to’s, tutorials, case studies and more. I use Evernote to collect and organize information, notes, meeting notes, lesson plans, resources to use in my classroom, resources to share with my students, and much more. You can also share your notes with others, so I've shared some notes with my students or colleagues. Students can use Evernote to collect data from the web, take notes in class, organize their work, and collaborate on projects, create task lists, organize projects and collect data, and much more. How Can I Get Help on using Evernote? So, how to you learn about all Evernote features and add-ons and how to use them and where do you go for support? 1. The Evernote Blog: tips, news, and user stories about how they are using Evernote. 2. The Evernote Forums: browse for topics of interest, ask questions, search for tips or answers. The community is thriving and this is a great way to learn more about using Evernote. 3. Evernote Support: the support site and support team are excellent and will get back to you quickly on any issues. There is a troubleshooter, chat with support, knowledge base and downloadable resources. Evernote is an incredible system that allows you to get organized, capture data, and so much more. It is an indispensable tool for educators. Evernote is very useful, easy to use, platform independent, constantly improved and updated and FREE. It is one of those tools that once you start using it, you’ll wonder how you ever lived without it. Evernote is very friendly to education. They have a lot of resources for education and when I talked with some of their senior staff at ISTE11, they were very enthusiastic about educational uses for Evernote and very eager to help. Awesome LiveBinder full of resources for Educators to get started with, and use, Evernote in Education. How Things Changed with Evernote - an educator explains how Evernote got him organized. 100 Different Uses for Evernote - great ideas! Evernote in the Classroom - from a colleague who's entire school staff and students use Evernote.